You can enjoy our traditional Turkish breakfast (you will love my mum's ,Mrs. Ayse’s, homemade jams) while watching seagulls with an exciting view of the Bosphorus & Marmara Sea and Asian side on our beautiful vine-covered terrace or relax on our terrace while you are having a free coffee, after a busy day. 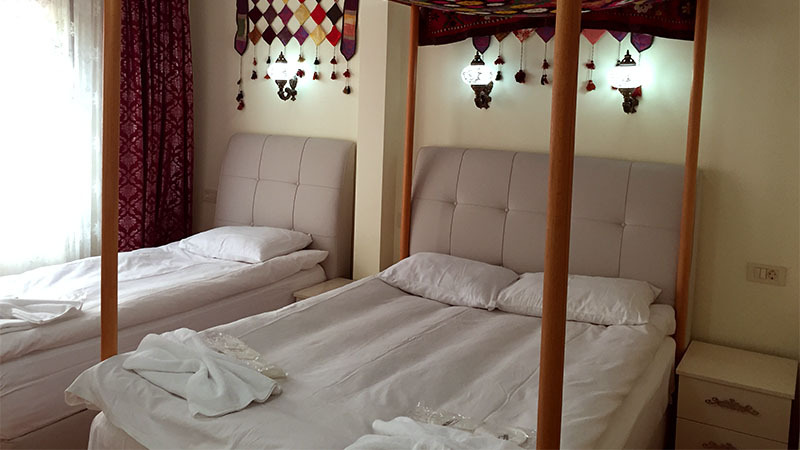 We offer single, twin, double, triple and rooms for up to four people (Family room) with full tile private facilities. Our rooms have big windows. 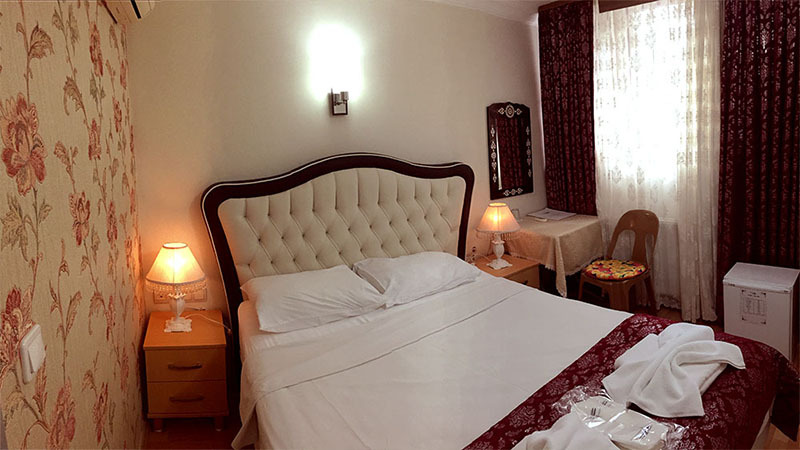 Standart double rooms are on the first floor. The room features one queen-size bed. 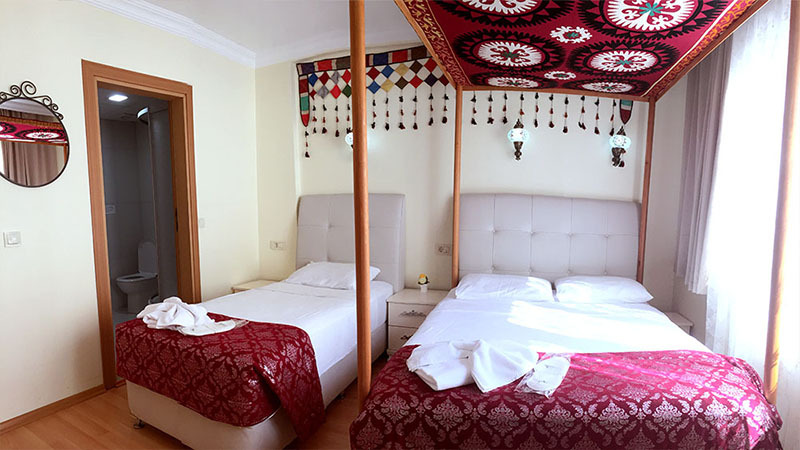 The standart triple rooms feature one queen-size bed and one single bed or three single beds. The family rooms feature one queen-size bed and two single beds. Standard single rooms are on the first floor. The room features one queen-size or single bed. We have four rooms on the upper floor which can be single, double, twins and triple. These rooms are on the garden floor ( basement floor) or land floor. 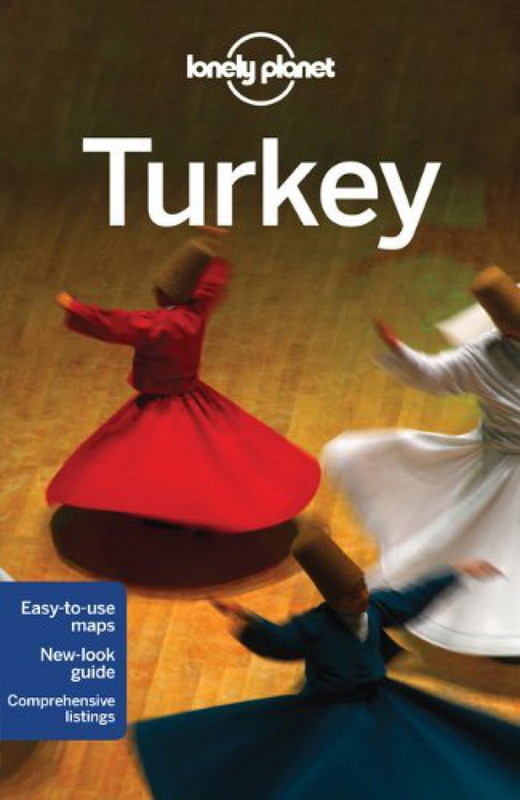 Recommended by Lonely Planet three years in a row as "Top Choice"
Author writes "There are plenty of family-run pensions in Sultanahmet, but few can claim the Marmara's levels of cleanliness and comfort. 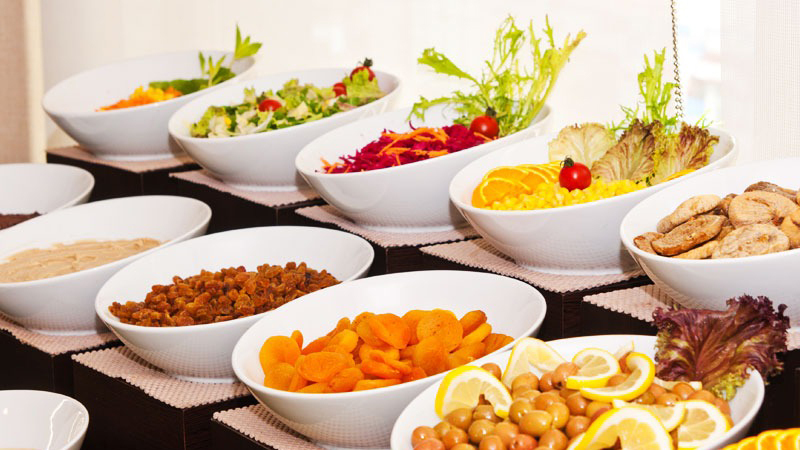 Manager Elif Aytekin and her family go out of their way to make guests feel welcome, offering plenty of advice and serving a delicious breakfast on the vine-covered, sea-facing roof terrace. Rooms have comfortable beds, good bathrooms and double-glazed windows." Copyright © 2015 MARMARA GUESTHOUSE, All Rights Reserved.